According to legend, kissing the Blarney stone endows the kisser with great eloquence or skill at flattery. Some believe sipping Irish Cream liquor can do the same. 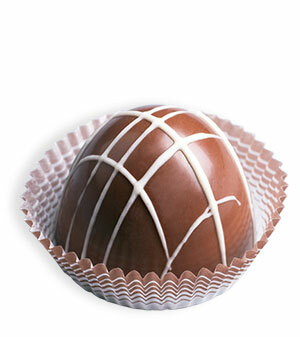 Just one sumptuous bite of our milk chocolate Irish Cream truffle will have you pontificating with persuasion. And who knows, it may bring you but a wee bit of luck!